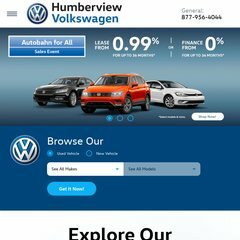 www.Queenswayvw.ca - Queensway Volkswagen Inc. Topics: Model Showroom , Passat, Jetta, Tiguan, & Touareg. queenswayvw.ca Contact Parts - Service & Parts - Queensway Volkswagen Inc.
queenswayvw.ca Contact Service - Queensway Volkswagen Inc.
queenswayvw.ca Service Department - Service & Parts - Queensway Volkswagen Inc. It is hosted by Xerocole Inc (Illinois, Chicago,) using Microsoft-IIS/6 web server. There are 2 Nameservers, ns2.rackspace.com, & ns.rackspace.com. The programming language environment is ASP.NET. PING www. (184.106.16.225) 56(84) bytes of data.